How is ‘the world’s most boring billboard’ grabbing people’s attention? Just outside a mall in Malmö is a billboard unlike the thousands of others littered around the city. 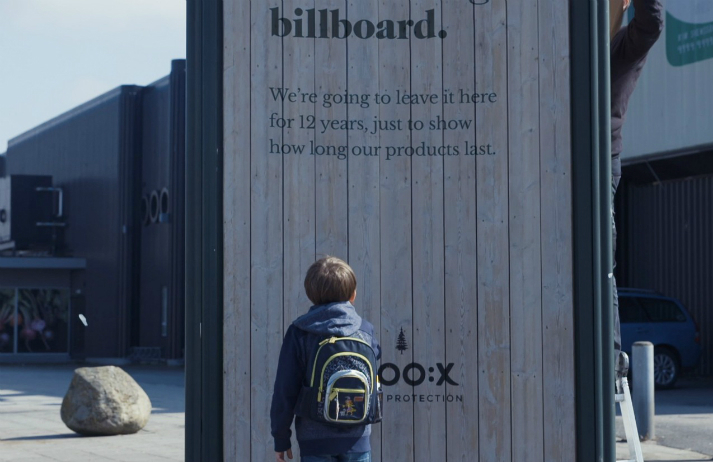 For 12 years, Sioo Wood Protection will display a mostly-plain panel of planks protected by its SiOO:X product, aiming to provide passersby with visible evidence of the brand’s long-lasting quality.